Not everyone who faces horrific scenarios can be an Ellen Ripley or an R.J. MacReady. Most people are likely akin to the Loser’s Club of Stephen King’s It. Most people get scared, and rightly so. However, we here at Audiences Everywhere think it’d be healthy if you expanded your fear limit this Halloween, by checking out a few of these movies that, as the title suggests, we’ve selected just for you. Don’t worry, none of these are scary. They’re just a few Halloween-themed films that could at least be appreciated for their humor and/or artistic merit. 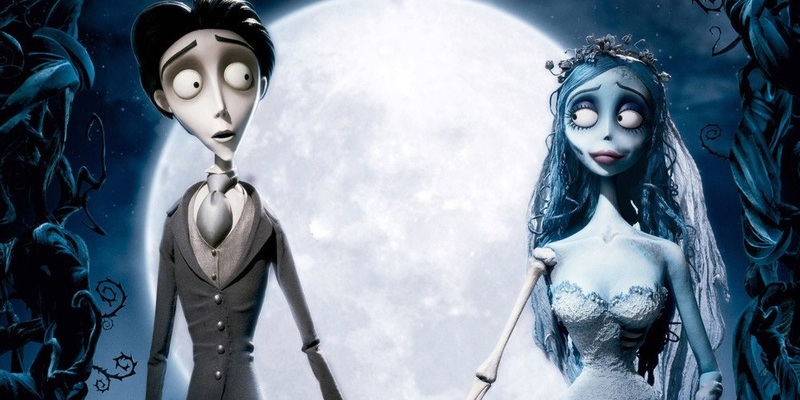 The night before his arranged marriage, Victor Van Dort accidentally ties the knot with a corpse named Emily and is brought to the Land of the Dead because of this. What directors Tim Burton and Mike Johnson have conjured up here is a sweet tale of love and letting go. Boasting some stunning visuals of Victorian era Goth, Corpse Bride rhythmically dances us through the vibrant and playful Land of the Dead and, contrastingly, the dreary family squabbles in the Land of the Living. It’s definitely a fun Halloween film, with all its death puns, but it’s also anchored by a nice emotional arc for the titular character. When there’s something strange in your neighborhood, you call late 80s Tom Hanks, of course. 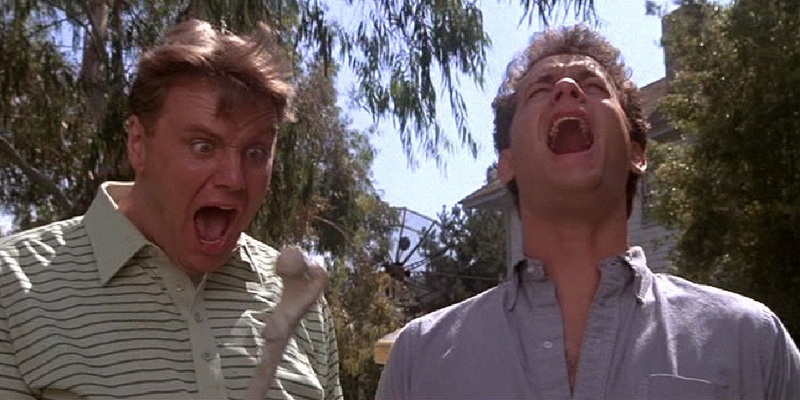 Joe Dante’s comedy The ‘Burbs is one of the stranger cult-classics. It follows Tom Hanks and a few of his eccentric neighbors (notably comedian Rick Ducommun and Bruce Dern as Literally Michael Bay), as they take it upon themselves to investigate their new, suspicious neighbor for murder. Getting past the absurdity of the plot, there are bunch of really funny and entertaining scenes in the film that are surprisingly uniquely memorable. The ‘Burbs invokes the Halloween spirit to advocate some suburban paranoia. Maybe the scariest thing is in the world is what your neighbor is up to behind those walls. Aside from being a funny, juvenile comedy, Ruben Fleischer’s Zombieland is surprisingly a comprehensive and insightful guide to surviving the zombie apocalypse. The film is mostly carried by Jesse Eisenberg and Woody Harrelson’s charming chemistry and gives the audience a lot of time to bond with them as they explore America at its most depressing (or, as the film suggests, its most liberating). It’s got some highlights, such as some inventive zombie kills and a hilarious Bill Murray cameo. It’s not the most refined work of art, but it is an entertaining film that could bring together any group of friends. Time to nut up or shut up. In our second list of Halloween Movies for Kids and Cowards, we suggested Harry Potter and the Sorcerer’s Stone. For this list, we’re skipping over and leaving it to Prisoner of Azkaban to treat viewers to a spooky Halloween experience. In Harry Potter’s third year at Hogwarts, he faces Dementors (basically ghouls), werewolves, witches, winged-beasts, boggarts, and other fantastical beasts. Alfonso Cuaron turns the magical world of Hogwarts School into somewhat of a grim cathedral, with the threat of the prisoner of Azkaban and the inescapable feelings of isolation looming over Harry. This is one of the best Harry Potter films and actually an excellent Halloween film, if one never thought of it that way. Halloween can also be a time where one can be driven by nostalgia over past Halloween films. 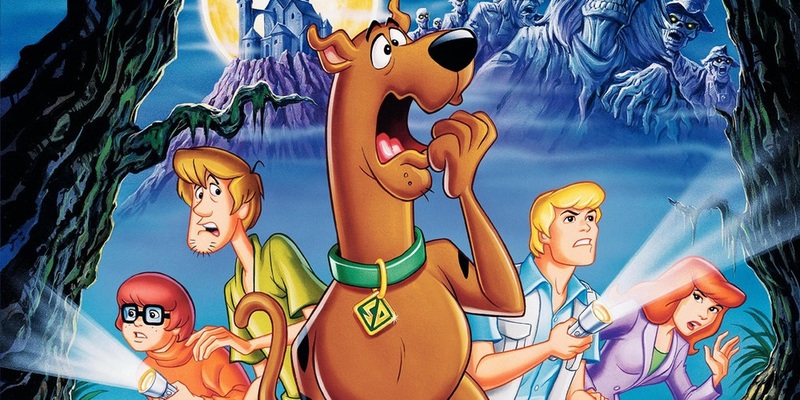 I doubt many people have watched any kind of Scooby-Doo product in at least a couple years (which is a real shame), so revisit the franchise with the direct-to-video film that brought back the franchise—Scooby-Doo on Zombie Island. Jim Stenstrum’s film is a short 80-minute Scooby-Doo mystery/adventure that hits all the beats you’d expect from a Scooby-Doo product. This may be frivolous for some, but I have faith that anyone with a kid or anyone with a heart open to nostalgia would enjoy this film and the company of Scooby and the Gang. Rescued from a deserted and torn down mansion, Edward is brought to a town that seems as cheery and colorful as the houses that comprise it make it out to be. Tragically, he doesn’t quite find the widespread love and acceptance that he deserves, and instead faces alienation because of his uniqueness, but that’s the beauty of Tim Burton’s (yes, again) Edwards Scissorhands. Like the Corpse Bride, the world Burton creates effortlessly embraces both the heart and mind of the viewer for full emotional resonance. Scissorhands is at times charming, entertaining, and heartbreaking, and never is the emotion cheap or unearned. The vibrant main story of the film is framed as a story being told from grandmother to child, which makes the eccentric Halloween tale a little more meaningful as a generational treat to be passed down. Anton is a lover of film and a writer of thoughts. He hopes to make you smile. Rating: Awesome. Awards Season is Over…What’s Next?